Leslie Frances Manselle is a performing and teaching artist who specializes in voice, movement and drama. Leslie sings with jazz, soul, inspirational and praise groups, and as an individual performer. Ms. Manselle’s school programs, “Self-Esteem Through Performance” and “Zumba Gold for Young and Old” were created to help students enhance academic and physical education skills through utilization of the arts. Her Dance/Exercise classes, Zumba Gold, are designed for mature adults or people who need a modified exercise program. The goals for her new program “Begin to Be the Better You” are to motivate and encourage teen, women and adult groups to be their best. 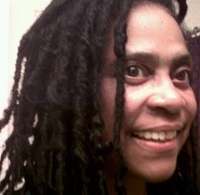 Leslie’s mission is to bless, enlighten, educate and entertain through music, words and movement.